Last week I got a chance to attend a training on Design Patterns. I would like to share my views on that this is the best way to really learn object-oriented design. After recognizing these Patterns it will improve your coding skills to par and further in future it will make you a good developer. Prior knowledge of any computer language is required but it will be advantage to those people who have worked upon languages related to OOPs concept. It will be easy for them to co relate their problems and easy design solution to their problems. 1. 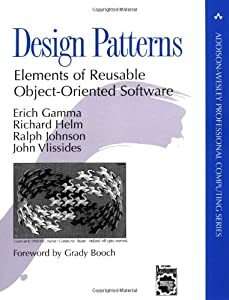 Design Patterns are solution to common design problems that developers face during designing simple/complex applications and GOF(Erich Gamma, Richard Helm, Ralph Johnson and John Vlissides) Gang Of Four identified those problems and make a series of those solutions as Design Patterns. I would recommend you all to read this book at least. So guys improve your programming skills as I am doing so right now. Please share your comments and suggestions to improve others.